These are tough times for banks. As the Bank of Japan’s prolonged ultra-easy money policy weighs on earnings, the emergence of technology like artificial intelligence is transforming the mechanics of financing and threatening to replace thousands of roles with automated systems. The nation’s major banks have announced restructuring measures including downsizing to deal with the situation and are rushing to catch up with digital innovations, but some critics say it could be too late in the game. Here’s an overview of the situation facing the nation’s lenders. Negative interest rates introduced by the Bank of Japan in 2016 have been sapping the earning power of banks’ core operations. The combined net core business profits of Japan’s five big banks — Mitsubishi UFJ Financial Group Inc. (MUFG), Sumitomo Mitsui Financial Group Inc. (SMFG), Mizuho Financial Group Inc., Resona Holdings Inc. and Sumitomo Mitsui Trust Holdings Inc. — fell 22.4 percent in April-December from a year earlier, to ¥1.571 trillion. Interest margins between deposits and loans are a key source of bank earnings. But the BOJ’s negative interest rates have kept banks’ average lending rates below 1 percent. Meanwhile, banks are lowering deposit rates to unprecedented levels to reduce pressure on interest margins. 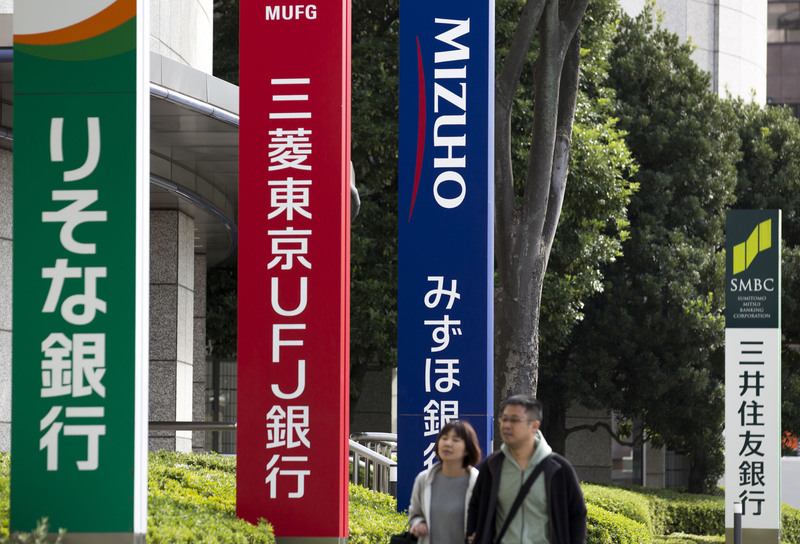 “Our business model revolving around traditional commercial banking services is no longer sustainable in its current state,” wrote Nobuyuki Hirano, president and CEO of MUFG, in a 2017 report published by the group. Dozens of regional banks are also feeling the pinch. According to the Financial Services Agency, the combined net profit of regional banks fell 14.7 percent to ¥1 trillion in the fiscal year ending last March compared to the year before. How are banks dealing with the situation? For one thing, they’re looking to downsize. 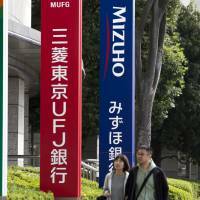 In November, Mizuho Financial said it plans to cut 19,000 jobs by the end of fiscal 2026 and consolidate its 500 branches into 400 by the end of fiscal 2024. MUFG is looking to trim 6,000 jobs from its domestic workforce by the end of fiscal 2023, and its president, Hirano, said last year the group plans to eliminate the workload equivalent of 9,500 positions over the next 10 years. SMFG said last year it plans to streamline 4,000 posts over three years. “People are optimistic about artificial intelligence. There is a lot of manual paperwork that can be done using AI (artificial intelligence),” said Ikuma Ueno, senior digital strategist at Mizuho’s digital innovation department. However, he added that not everyone will appreciate the digital shift. 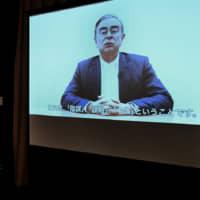 “While managers may be happy with AI, it may be more difficult for the people who are displaced and reallocated to different positions,” he said. The megabanks have said that downsizing should be organic, involving cutting down on new hires and automating mundane tasks. But rank-and-file bankers appear to have read between the lines. According to major recruitment firm Recruit Career Co., the number of those in the finance industry signing up with the company between April and September last year jumped around 30 percent compared to the same period the year before. 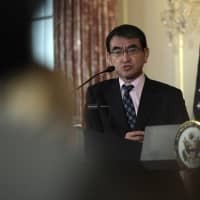 “We’ve seen a surge in those from the financial sector since the BOJ introduced negative interest rates,” said Chihiro Hara, a spokeswoman for the company. Recruit Career said there has also been a marked shift in where financial workers secured new roles. During the April-September period in 2015, before the BOJ’s move, 43.5 percent found positions in the same field. In 2017, that figure had dropped to 25 percent, indicating how many are moving away from their own sector. What else is behind the trend? Demographics are a factor. Japan’s population is graying and shrinking. Government statistics show that the size of the population peaked a decade ago and is forecast to fall 30 percent by 2065. The BOJ touched on the issue in its Financial System Report released in October. The central bank said the fall in profits can also be seen in other advanced economies where low interest rates have prevailed. How are banks responding to ‘fintech’? With technology companies like Rakuten Inc. and China’s Alibaba Group Holding Ltd. accelerating their expansion into financial technologies, or fintech, banks are trying to keep pace by seeking partners and launching new ventures. SMFG launched a biometric identification venture called Poralify last year with NTT Data Corp. and Irish biometrics company Daon Inc., eyeing to pitch the technology to e-commerce companies and other businesses to ease online payment transactions. Also last year the company formed a joint venture with Yahoo Japan Corp. to analyze the bank’s client data in order to create new services. MUFG also created its own fintech company last year, called Japan Digital Design Inc., to collaborate with regional banks on research and development. It’s looking to tap AI for consumer loan screening, and provide technology to streamline financial transactions. Mizuho meanwhile launched a fintech company called Blue Lab Co. with venture firm WiL LLC, and aims to offer payment services and products based on blockchain. Banks have also begun embracing cryptocurrencies. MUFG has been developing its own digital currency called the MUFG coin, and reports say it’s working to open its own exchange this year. Mizuho is leading a consortium of banks to develop a cryptocurrency known as J-Coin in time for the Tokyo Olympics in 2020, when higher numbers of tourists are expected to visit Japan. Staff writer Cory Baird contributed to this article.